This area of mainland western Africa became a Spanish Protectorate on 9th January 1885. 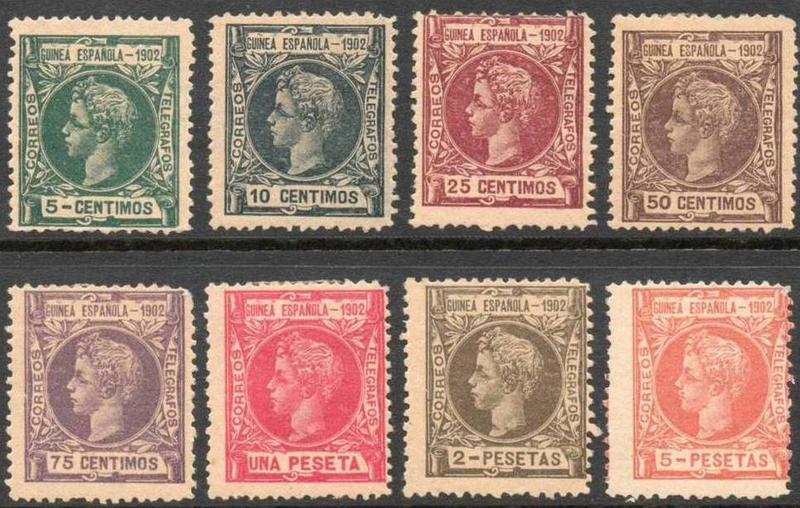 From 1902 to 1909 the stamps of Spanish Guinea were issued for and used only in the continental area later called Rio Muni. 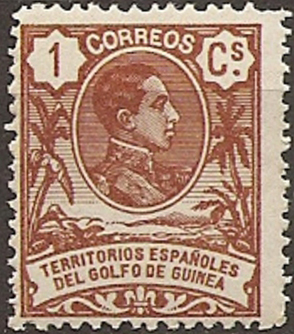 From 1909 to 1960, Spanish Guinea also included Fernando Po, Elobey, Annobon and Corisco. 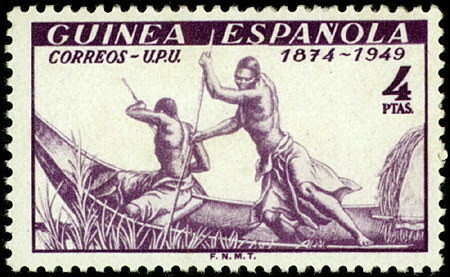 Fernando Po and Rio Muni united in 1968 to become the Republic of Equatorial Guinea (Scott ). Gibbons  notes the establishment of the Spanish Territories of the Gulf of Guinea in 1909, the name reverting to Spanish Guinea in 1949. In July 1959, Spanish Guinea split into two Overseas Provinces, Fernando Po (including Annobon) and Rio Muni (comprising Rio Muni, Elobey and Corisco). 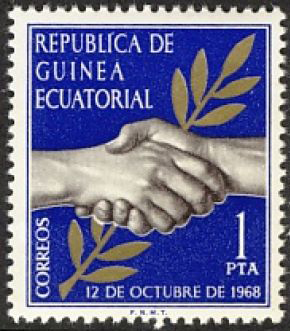 In October 1968 Fernando Po rejoined Rio Muni to form the Republic of Equatorial Guinea. Sources: ScC , SGP9 , SGP12. Images from David Olson, Delcampe, colnect.